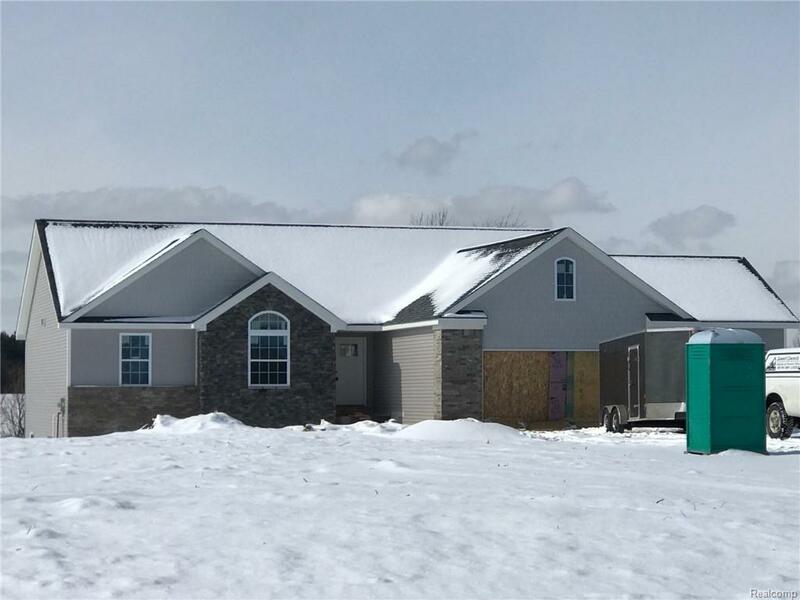 New Construction - This open floor plan ranch offers a spacious great room With floor to ceiling Stone fireplace, granite counters, Central Air, 3 bedrooms, 2 full baths, full walk-out basement (rough plumbed for 3 pc bath), and 3 car garage all situated on nearly 3.5 acres in Hadley Twp and serviced by Goodrich Schools. $150 annual association fee included in taxes. Buyer to assume natural gas install payment plan of $50/month. Taxes shown are on vacant land only. 1 yr builder warranty included. Construction financing available. Photos are representative of home being built.